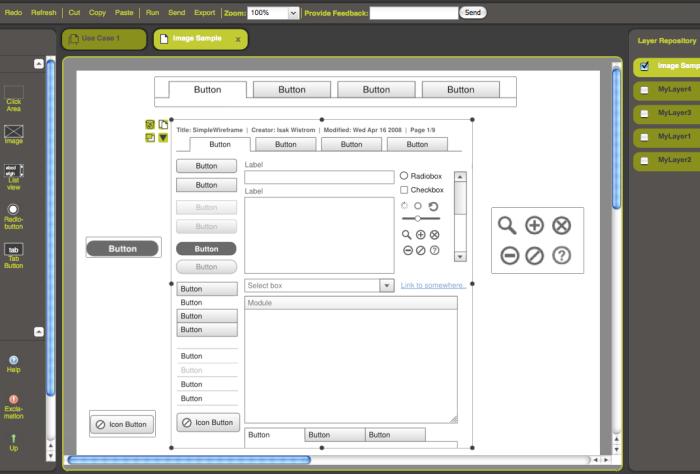 Pidoco's Screenflow View in 2007: Volker described this as his "masterpiece of graphical design"
Pidoco's Screenflow View in 2008 with 8 stencil elements and a properties table on the right. 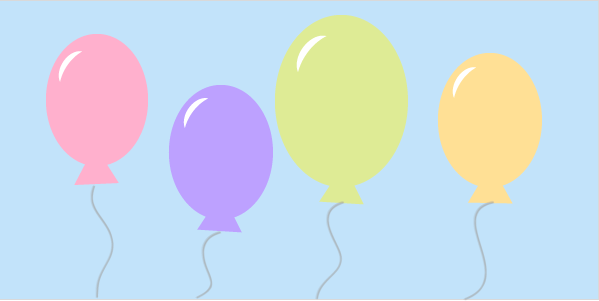 Pidoco is turning 5 this month, which for many people means that we have moved from being a startup to becoming an established company. We’re wondering if the label should just be reserved for new companies, or if we will always be a startup as long as we keep our company culture. For any company it’s important to celebrate the milestones, and for a startup the 5-year milestone seems especially important. One of the reasons for this may be that we hear and tell each other statistics about how many startups fail within the first five years. Now that we have been around for five years, we thought we’d take a look at some definitions of a startup and give you some of our own. Please comment below with your own suggestions for what it means to be a startup. For the most part, being a startup has a lot to do with company culture. At Pidoco we don’t have hierarchies, we have a stand-up every day and we are still working towards the vision we set out when we founded the company. Please comment below with your own definitions of what it means to be a startup. 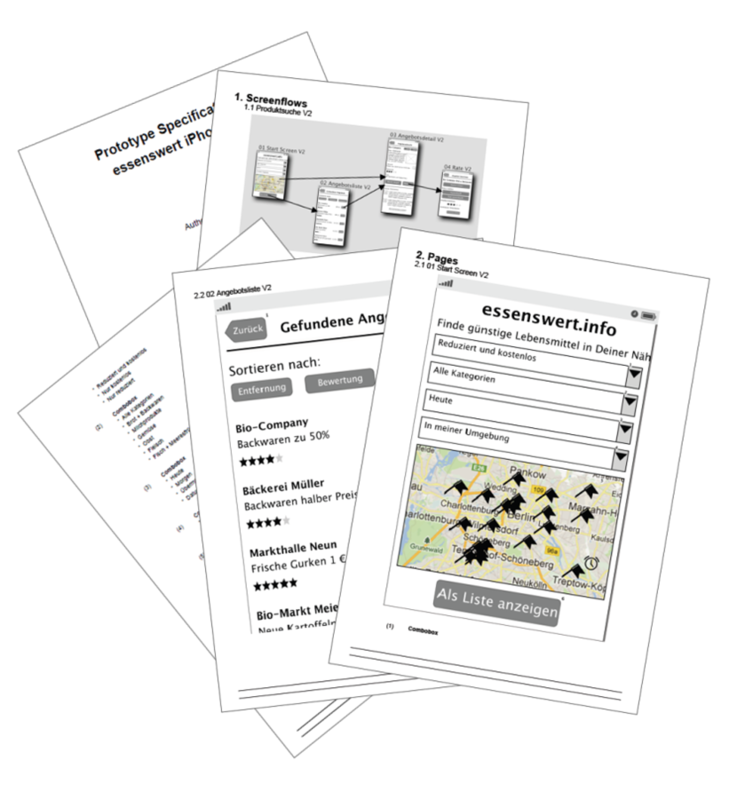 We often get asked about recommendations for good wireframing articles and blogs. The following are some of our favorite resources that demonstrate clearly the function of wireframing and best practices. Please comment below with any of your recommendations! Rapid prototyping is a process where designs are drafted, reviewed and refined. This article gives you an insight into how prototyping can make your work become more agile and how prototypes can give stakeholders a tangible product that they can interact with. Smashing Magazine is also a great resource on UX and design matters. 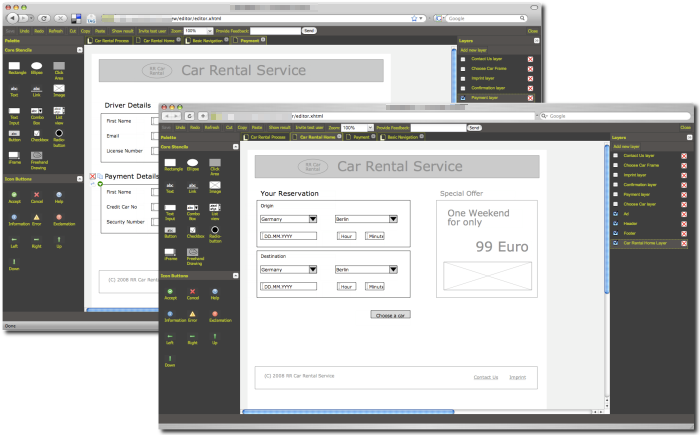 Designing a website or application can often be a long and complex process. This article focuses on how sketching out design concepts is a process of discovery and trial and error. Once the concept is clear, you can use a tool like Pidoco to refine your concept, add interactions and create concrete specifications. 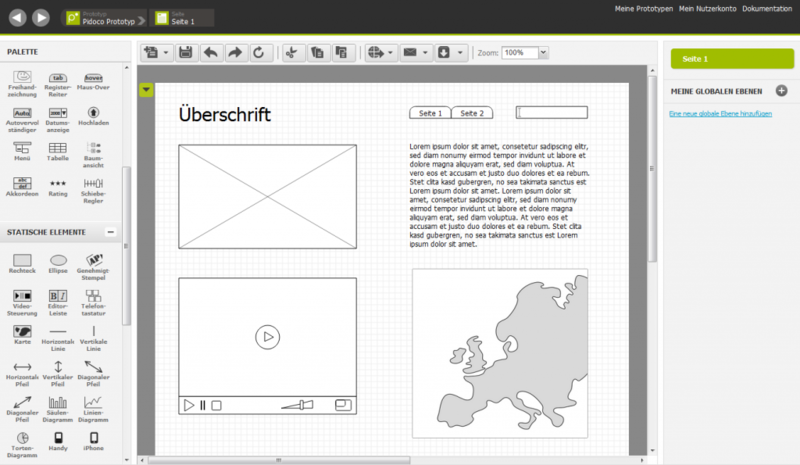 Contrary to belief, even wireframes and prototypes can be used in usability testing. The benefit of getting user feedback at the beginning of the design process is that this can often save companies time and money in the long run. This article looks at the best methodologies for testing your prototypes with end users for getting valuable and reliable results. SEO can often be an afterthought in web design, but it is a crucial aspect that can determine how much traffic will be brought to your website. The SEOmoz blog should help you to plan the structure of your site with SEO in mind. SEO is definitely an area where you should get input from your online marketing team as early on as possible to ensure the structure of your wireframes fits with their requirements. If you have ever thought about how to cut development time in your projects, this article is for you. Some people believe that it’s best to begin using code as early as possible to save time later on. Others see the wireframing phase as an important time to try out new ideas without focusing on the technical implementation. This two-part article summarizes which approach is best for different types of projects. Just as the Wizard of Oz shows us we each have our own definitions of a heart, a brain and courage, many UX designers have varying definitions of what a sketch, a wireframe and a prototype are. This article looks at the functions of each of these design forms, and how they are suited to different review processes. Remember that sketches, wireframes and prototypes should be used as vehicles for creating a better user experience and this should be your aim throughout your projects. 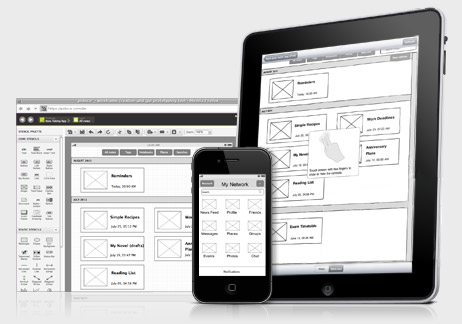 Do you see wireframes as a product or a process? 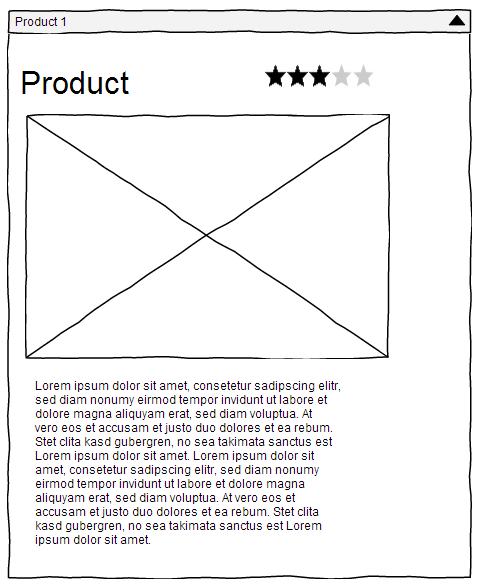 This article will help you to reassess the goals you would like to achieve from wireframing. 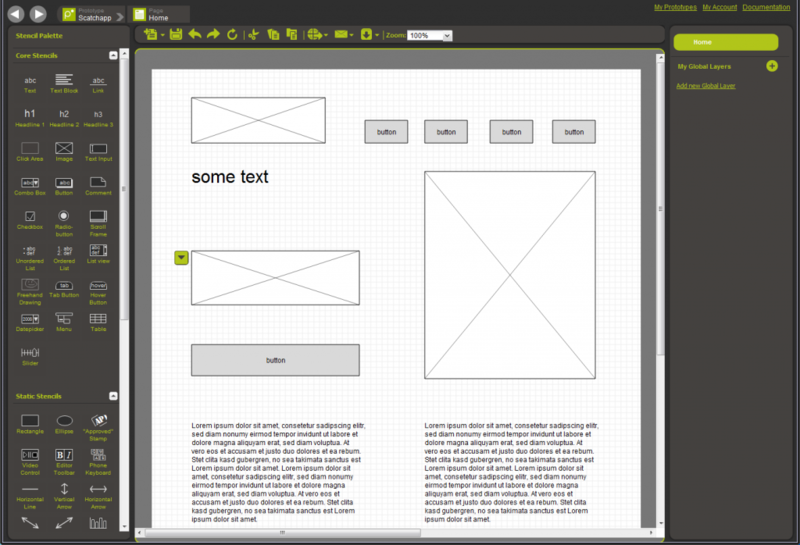 The author sees wireframes as a process, which is used to generate different design alternatives and to create a user experience based on context. 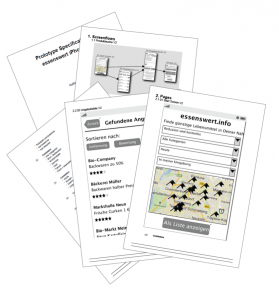 Creating wireframes without a strategy or roadmap should be avoided. This article will show you what you need to consider, from setting an objective and deadline to ensuring you focus on functionality rather than graphic design. This is a great checklist for anyone beginning a project where they will be using wireframes. This is a gallery with images of sketches and computer-generated wireframes. Perfect for getting inspiration for your wireframes. Our very own resource with an overview of UX terms you should know – from Storyboard to Focus Group. Perfect for those new to UX, or those who would like to refresh their memories. Please let us know if we have missed any of your favorite articles from this list. Comment below, or email us at support@pidoco.com if you would like us to give you recommended resources on a particular topic on wireframing. We look forward to reading your suggestions! 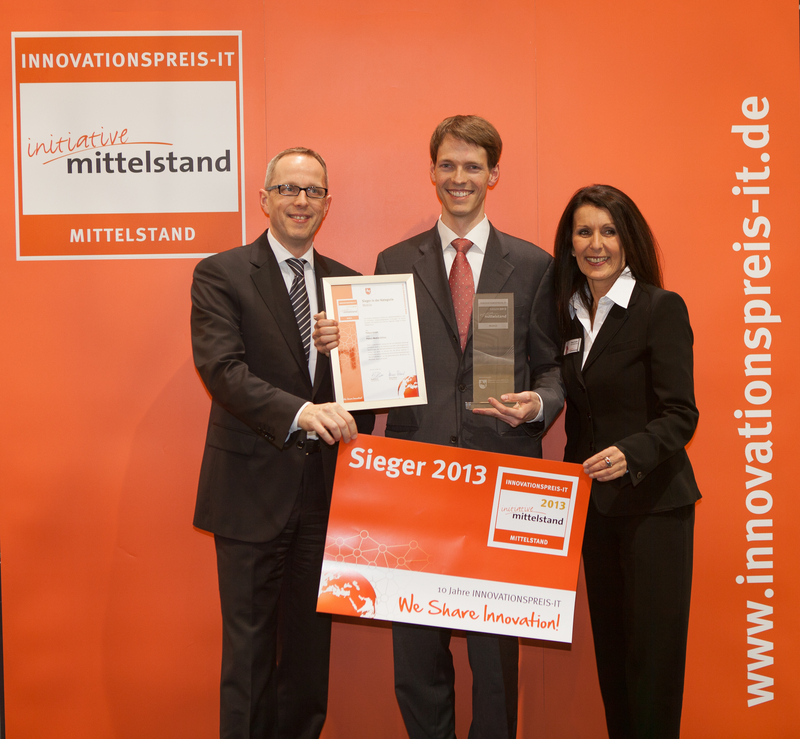 For those of you who did not make it to CeBIT this year, we thought we would share our presentation with you. Our CEO, Philipp Huy discussed the advantages of prototyping in an increasingly mobile market. Why is mobile app prototyping an important topic? Mobile internet use has increased rapidly over the past years and has taken over desktop-based access in countries like India already. With more of us surfing the web on smartphone and tablet devices, it pays for companies to develop mobile-compatible websites and mobile apps. For those that already have a mobile product, chances are this needs improvement. While we may be inclined to focus on content and the commercial goals of a project, the user experience of a mobile app is often the decisive factor in ensuring market success. Prototyping is a great way to tackle the UX challenges that mobile interactions set for designers and developers as it allows them to involve end users and decision makers early on. At Pidoco we value communication, collaboration and user-testing and therefore offer our customers a special Mobile Edition for simulating mobile app prototypes directly on tablets and smartphones with our Pidoco App. With an iterative approach to mobile app design and development as enabled by rapid application prototyping, developers can significantly reduce risk and bring higher-quality products to market faster. We believe prototyping is one of the quickest and most effective ways to ensure market success for your mobile projects and you can see some of our use-cases in the presentation. You can access the full presentation at Slideshare – don’t forget to follow us on there, as well as on our other social media channels including LinkedIn, Facebook and Twitter. 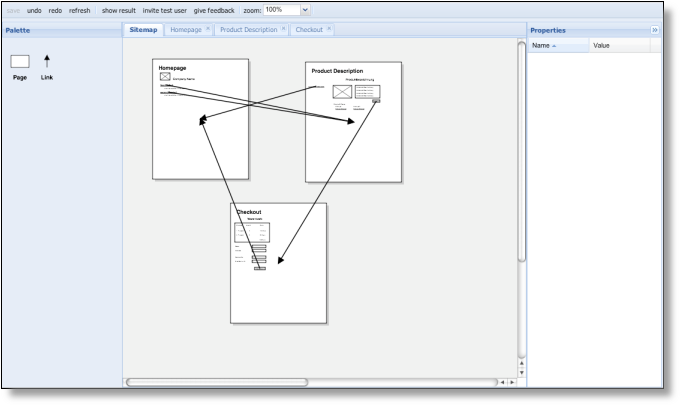 Many of our users have asked us whether we can make it easy for them to create flowcharts in the tool. 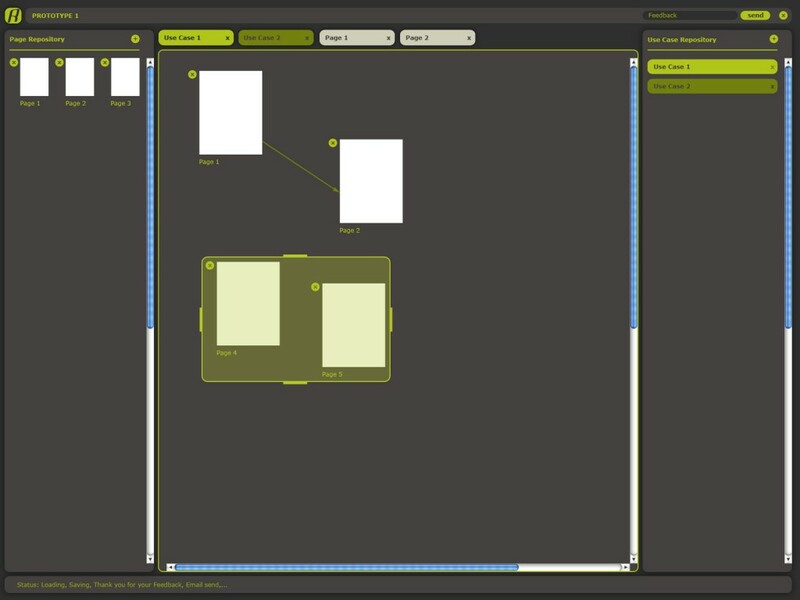 We’ve now added a flowchart section in the stencil palette, so you can map out your processes. Remember, you can change the size of your page in the context menu – so feel free to give yourself lots of space for your flowcharts. We also have a new stencil for your prototypes. Now you can use the toggle stencil to show and hide elements on your page. In the example below, I created a separate page with a few stencils and set this page as the target of my toggle stencil. Now when I click on the toggle stencil in simulation this drop-down appears. You can also set a target to external websites. These are my folders – you can create yours by clicking on the blue button. Once again, we want to thank all of you who have given us feedback on our User Voice Forum, or by email. We really appreciate it and we hope you enjoy these feature updates. Feel free to comment below, or email us with your feedback on these new features. As always, you can find us on Facebook and Twitter. Happy Prototyping! 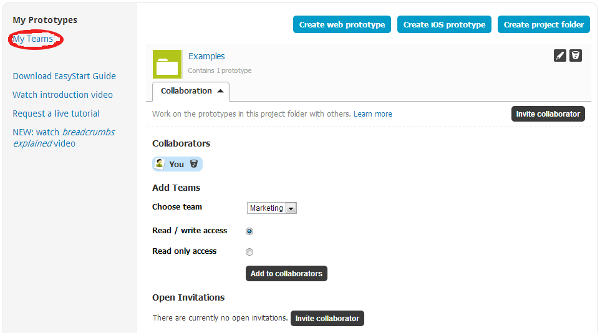 Want to be a prototyping superstar? We’ve been making tutorial videos with all our secret hints and tips to help you get the most out of Pidoco. Watch how to use our latest accordion stencil or see how to create a popup in your prototype. You can watch all of these on our YouTube channel. Just click the subscribe button to make sure you don’t miss any of our new releases! This is our image tutorial video, which shows how you can upload and crop images in Pidoco. 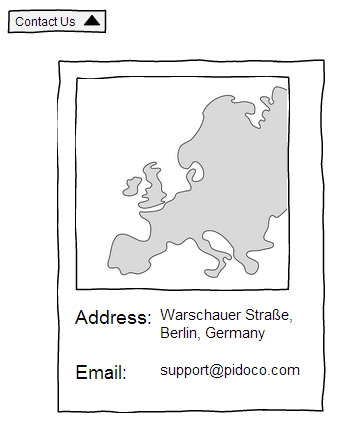 Of course if you would like to talk to an expert from Pidoco, we offer free online demonstrations. Just fill out the contact form and let us know when would be best for you. We’re based in Berlin, so we’re free Mon-Fri 9:00 – 19:00 (CET). Do you have any suggestions for future videos? We’d love to hear from you. Just comment below! 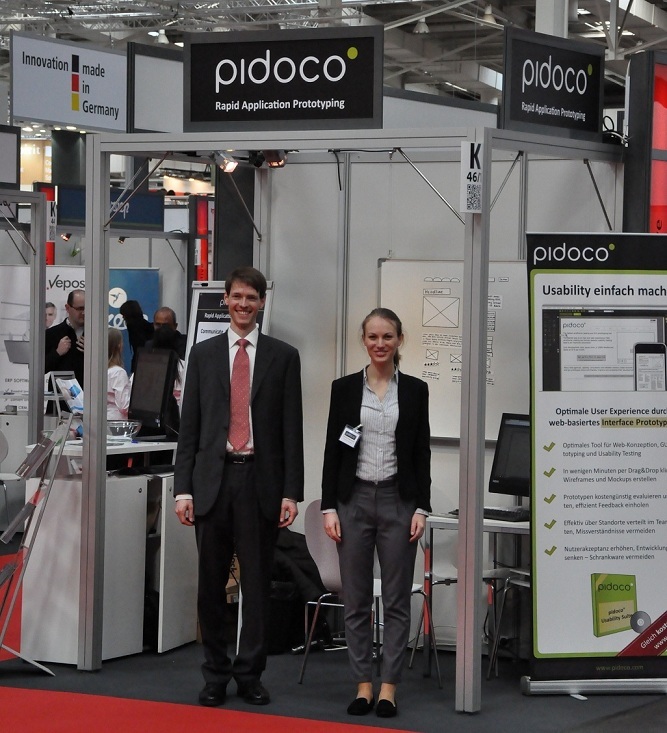 It’s great hearing from Pidoco users and it’s even better to meet them in real life. The best part is that you never know what they might say about your product. When I took part in a Rails Girls Berlin workshop last month, I met Celine and Saskia, cofounders of promising Berlin startup Qipoqo – a task-swapping platform where you can swap tasks you don’t like for those you do. Saskia was the first person who had ever described the UI of our software as “cute” before and I couldn’t wait to hear what else they had to say about Pidoco. 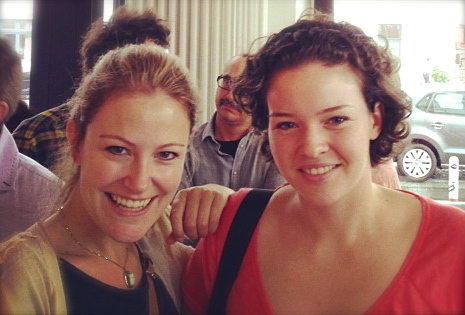 Saskia and Celine discovered Pidoco after they won a startup competition. They were lucky enough to win free agency help to develop their website, but needed a way to communicate how they wanted the layout and structure of their online platform to be. Having worked with PowerPoint initially, they wanted software that could add more interaction and also give them more ideas of what elements to include in their website. Celine also talked about how they took their prototype to Usability Fix at You Is Now to show potential users. 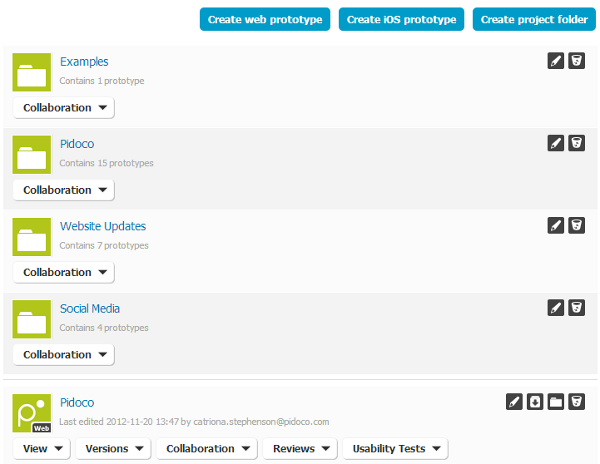 Because prototypes created with Pidoco are interactive, you can get your potential users to click through and see what problems arise with your navigation and layout. This made Celine and Saskia rethink their navigation to make it more intuitive for their users. We think it’s awesome that they’ve been using Pidoco in their startup journey and of course, we are huge fans of the name. You can sign up for the Beta version of Qipoqo here. In the meantime Celine and Saskia are busy getting support for their crowdfunding campaign. We can’t wait for the task-swapping platform to go live and we wish them the very best of luck. If you’re a startup and would like to use Pidoco, email support@pidoco.com to see if you could qualify for a 25% discount.